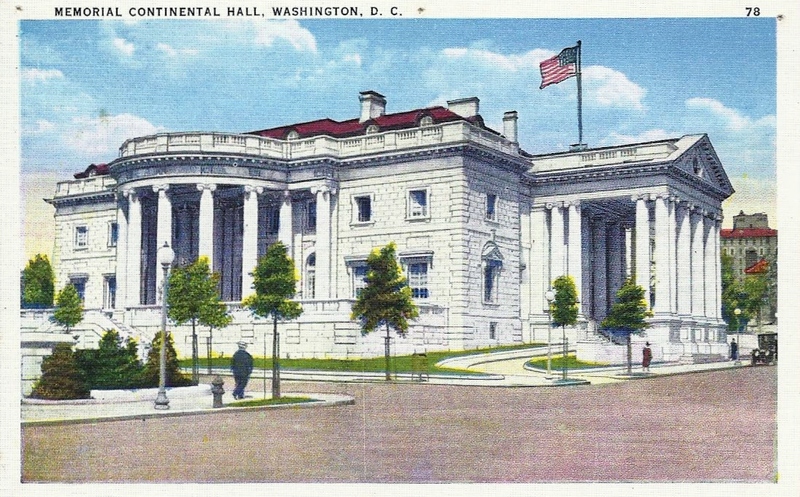 Vintage Travel Postcards: Washington, D.C.
Memorial Continental Hall, Washington, D.C. 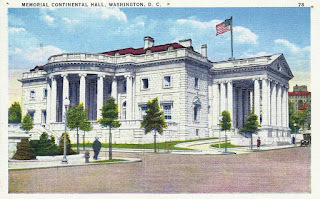 This beautiful White Marble Building was erected by the National Society of the Daughters of the American Revolution. Completed in 1910 at a cost of over $500,000. The Portico on the left has thirteen columns for the Thirteen Original States. 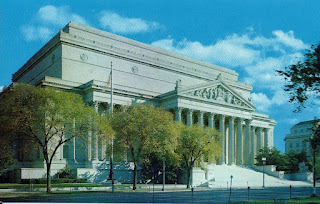 This building was built as a depository for irreplaceable government records. It is completely air conditioned for the preservation of Federal Archive material. It was designed by John Russel Pope and contains and displays records of outstanding historical significance. 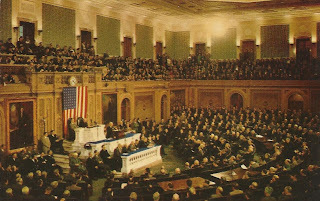 The Hall of Representatives is the room in which the Senate and the House meet jointly when the President delivers a message to Congress. First and Pennsylvania Avenue. I visited D.C. about a year ago for the first time in ages. I love D.C. and did a few posts on the city recently myself.